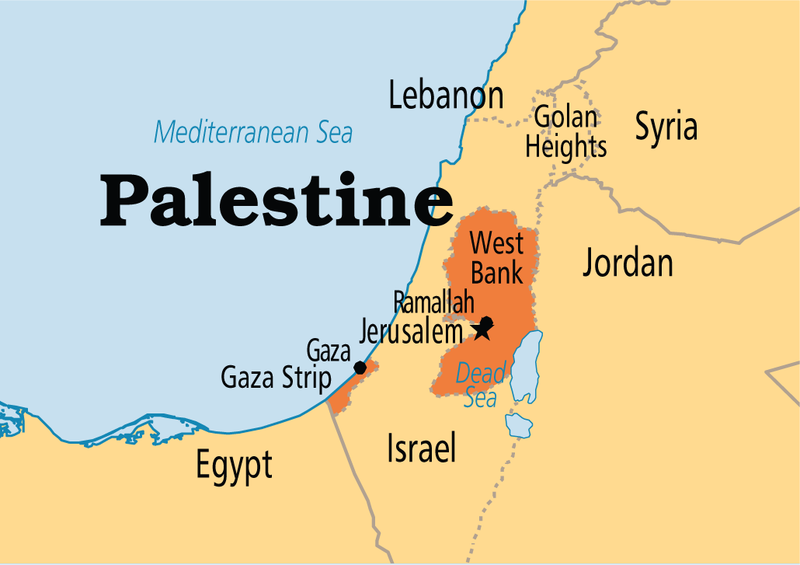 Palestine is a geographic region in Western Asia between the Mediterranean Sea and the Jordan River. It is sometimes considered to include adjoining territories. The name was used by Ancient Greek writers, and was later used for the Roman province Syria Palaestina, the Byzantine Palaestina Prima and the Umayyad and Abbasid province of Jund Filastin. The region is also known as the Land of Israel (Hebrew: ארץ־ישראלEretz-Yisra'el), the Holy Land, the Southern Levant, Cisjordan, and historically has been known by other names including Canaan,Southern Syria and Jerusalem. Situated at a strategic location between Egypt, Syria and Arabia, and the birthplace of Judaism and Christianity, the region has a long and tumultuous history as a crossroads for religion, culture, commerce, and politics. The region has been controlled by numerous different peoples, including Ancient Egyptians, Canaanites, Israelites, Assyrians, Babylonians, Persians, Ancient Greeks, Romans, Byzantines, theSunni Arab Caliphates, the Shia Fatimid Caliphate, Crusaders, Ayyubids, Mameluks, Ottomans, the British and modern Israelis andPalestinians. 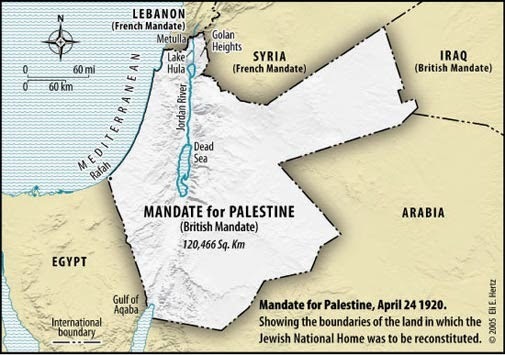 Boundaries of the region have changed throughout history, and were last defined in modern times by the Franco-British boundary agreement (1920) and the Transjordan memorandum of 16 September 1922, during the mandate period. 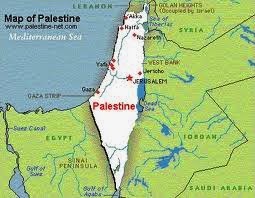 Today, the region comprises the State of Israeland Palestinian territories in which the State of Palestine was declared.